as narrated by his father Syed. Zaman Shah, Research Historian in Moghul History. Background: Articles have recently appeared in the world press wherein different parties are making ludicrous claims that the Koh-i-Noor diamond is their legacy and should be returned to them. The Koh-i-Noor diamond is presently the property of H.M. The Queen Mother and is kept in the Tower of London with the Crown Jewels. The event that sparked off these ludicrous claims for the Koh-i-Noor diamond was that U.K. Prime Minister Tony Blair reportedly had set up a committee to consider the possible return of the Elgin Marbles to Greece. "India must go for kill to get Kohinoor diamond back"
New Delhi, May 14 - Well-known journalist and lawmaker Kuldip Nayar says the Indian government must make an all out effort to get the prestigious "Kohinoor" diamond back from Britain. According to Nayar, the general opinion at the first meeting of a committee overseeing the bicentennial celebrations of Maharaja Ranjit Singh, the erstwhile ruler of Punjab who owned the gem, was that India "must go for the kill and it was up to the Tony Blair government to take the hint." Prime Minister Atal Bihari Vajpayee "assured the first meeting of the celebrations that India would create conditions that would embarrass the British government into returning the Kohinoor," Nayar, who initiated the campaign for returning the Kohinoor, told IANS. An Indian MP is demanding the return of the jewel of Britain's crown jewels, the Kohinoor diamond. Kuldip Nayar, MP and journalist, says the priceless diamond was plundered by the British from an ancient Indian ruler Maharaja Ranjit Singh. He told the Indian parliament that the carat stone should be returned from the Tower of London. The Kohinoor, known as the Mountain of Light, carries a mysterious curse and has brought ill luck to all its male owners. Its ownership has been claimed by various others related to Indian royalty. The British Government has always maintained the diamond is an asset of the British people, held in trust by the royal house. Nayar, along with 30 other Indian MPs, is also demanding the return of other Indian cultural relics and rare documents which lie in the basement of the Victoria and Albert Museum and the India Office Library in London. A spokesman for the Tower of London was unavailable for comment. During the same week an intermittent campaign was renewed to restore the Kohinoor Diamond to its 'rightful owners'. The Kohinoor, tourists will recall, resides in the Tower of London among the Crown Jewels of the House of Windsor. It was acquired by the British in 1849 after the Second Sikh War. Here the manuals of good practice have little useful advice. 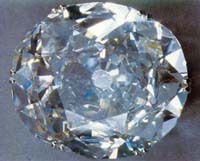 The Diamond, possession of generations of Moghuls, had a brief sojourn in Persia and was finally acquired by the Sikhs. To complicate matters, the battle after which it entered British hands took place on territory now claimed by Pakistan, so we have three irreconcilable claimants. No matter what the laws of booty and restoration, the Diamond is best kept where it is, for the time being at least. Its return to any of the three claimants would only exacerbate an already inflamed mandala of contention. Meanwhile, two disputes of a similar nature have been rumbling on. A Graeco-British summit would not be complete without an appeal by the Greeks for the restoration of part of the Parthenon frieze currently held in the British Museum and generally (and somewhat dismissively) referred to as the Elgin Marbles. . The Queen's journey this month to Pakistan and India--her first trip outside Britain since Princess Diana's death--may be dimmed by a dispute over ownership of the 105.6-carat diamond. Her Majesty's Indian passage takes her through the northern state of Punjab, where the Koh-i-noor was snatched by British conquerors from eight-year-old Duleep Singh, ruler of the Sikhs, after a fierce battle. Now, many Sikhs in both India and Britain are demanding that the Queen give back the gem when she arrives to celebrate 50 years of independence on the subcontinent. If superstition is any guide, she might be wise to oblige: the Koh-i-noor is supposedly cursed. Princelings betrayed each other for it. A maharajah who once possessed it had several wives and more than 100 concubines but was left without a suitable heir. Even after the diamond was shipped to Britain--having spent six weeks in a forgetful Englishman's waistcoat pocket--its malevolent influence was felt: twice Queen Victoria was assailed by madmen, one brandishing a pistol and another who whacked her with his cane. The Koh-i-noor surely has nothing to do with the Windsors' current misfortunes. But just in case, Beant Singh Sandhawalia is eager to relieve Queen Elizabeth of the ill-starred stone. Sandhawalia, 71, is a simple farmer in Punjab who claims to be the last surviving heir of Duleep Singh, through adoption. Sandhawalia wrote Buckingham Palace and Prime Minister Tony Blair asking for the gem's return but has received no reply. He is undeterred. "The British are very polite. They will respond," says Sandhawalia. "I don't want the Koh-i-noor for myself. It's a part of our national heritage, and I will give it to the museum at the Golden Temple," the holiest Sikh shrine, located in Amritsar. Sandhawalia's quixotic pursuit of the Koh-i-noor is not entirely selfless. In the unlikely event that Britain concedes he is the gem's rightful owner, it may help the farmer lay hands on other loot. When Swiss bank authorities this year were searching through accounts reportedly held by Holocaust victims, they opened a long-forgotten safe deposit box belonging to Catherine Duleep Singh, daughter of the diamond's last Sikh owner. Sandhawalia thinks the as-yet-undisclosed contents of that box should be his inheritance. Sikh historian Kushwant Singh scoffs at the possibility that vast treasures were stashed in Switzerland by the deposed monarch. "Duleep Singh had gone quite nutty," Singh says. "He went bankrupt, and Queen Victoria had to bail him out." Some British newspapers reported that the deposit box allegedly contains documents proving that Britain had obtained the diamond illegally. That seems implausible; possession of the gem was one of the terms for surrender demanded by the British of the young maharajah when he lost the Punjab. Queen Elizabeth has never worn the Koh-i-noor, which in 1852 was re-cut from 186 carats to bring out its inner fire. The gem was last donned by the current Queen Mother at the 1937 coronation of her husband, King George VI. Says historian Singh, "I can't see the English being so generous as to give it back." 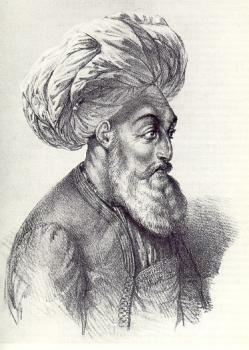 The first owner of the Koh-i-Noor diamond (mid 17th century) was Mir Mohd. 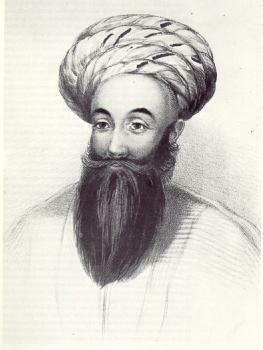 Saeed Ardistani, known as Mir Jumla, he was the Prime Noble of Qutab Shah of Golkunda (Hyd. Deccan), in addition, Mir Jumla also owned gold mines. Mir Jumla took service with the Moghul emperor Shah Jehan through instigation by the Moghul governor of the Deccan, Prince Aurangzeb. On his first visit to Shah Jehan, Mir Jumla presented the Koh-i-Noor diamond to Shah Jehan. It is therefore clear that both Mir Jumla and Shah Jehan obtained the Koh-i-Noor diamond legitimately. The Koh-i-Noor diamond then continued to be owned by Shah Jehans descendants, the last being Mohammed Shah Rangeela. The Persian king Nadir Shah invaded India and occupied Delhi (around 1737 A.D.), the Koh-i-Noor diamond and the Peacock throne were given as presents by Mohammed Shah to Nadir Shah as part of the peace treaty through which Mohd. Shah also ceded to the Persian king Nadir Shah the provinces of Afghanistan, Kashmir, Sindh and Punjab upto Sir-Hind town in Eastern Punjab. At the time of Nadir Shahs assassination, Ahmed Khan Abdali (who was in the kings camp at the time of the assassination) was commander of Nadir Shahs bodyguard regiment and was entrusted by the King with guarding his treasure together with the Koh-i-Noor diamond, therefore, these were in the legitimate possession of Ahmed Khan Abdali. Once the crime of assassination had been committed by the Qazilbash party, and King Nadir Shah was dead, A. K. Abdali together with the Kings bodyguard regiment and the treasure with the Koh-i-Noor diamond, withdrew to Qandhahar, in the eastern part of the Persian Empire. At Qandhahar, a Grand Assembly was summoned and Ahmed Khan Abdali was made king by the assembly and the Persian Empire was split in half, with Afghanistan, Baluchistan, Sindh, Kashmir and Punjab becoming part of the Afghan kingdom at the coronation of Ahmed Khan Abdali. It was at this juncture that Ahmed Khan adopted the title of Durr-e-Durran (the pearl of the age) and became known as Ahmed Shah Durrani (although he is also interchangeably known in History as Ahmed Shah Abdali). The Koh-i-Noor diamond the passed legitimately to the descendants of A.S. Abdali viz. Taimur Shah, his son Zaman Shah, and then Shah Shuja, brother of Zaman Shah. In the meanwhile, taking advantage of internecine conflict among the Afghans, Ranjit Singh (who himself had been appointed Governor of Lahore by the Afghan king Zaman Shah) had made himself the independent Maharaja of Punjab. Shah Shuja became king after his older brother Zaman Shah had been blinded (a blind man cannot remain king under Afghan law). In his turn, Shah Shuja was overthrown by Dost Mohammed Khan of the Barakzai sub-clan of the Abdalis (as opposed to the royal Sadozai clan to which Shah Shuja belonged). Shah Shuja, together with his blind older brother Zaman and the rest of his family decided to seek exile in the India of the East India Company, and was promised safety and exile at Ludhiana by the British East India Company. Shah Shuja left Kabul with the Koh-i-Noor diamond which he kept inside the folds of his turban for safety. En-route to Ludhiana he had to pass through Lahore, Ranjit Singh had heard about the Koh-i-Noor diamond through his spies. At Lahore, Shah Shuja had to pay a visit to the Maharaja Ranjit Singh, when they met, the two embraced and Ranjit Singh said to Shah Shuja that they were brothers, and that as a token of brotherhood he was exchanging turbans with him. Thereupon Ranjit Singh picked up Shah Shujas turban from his head, and his own turban from his head, placed Shah Shujas turban on his head and his turban on Shah Shujas head. Shah Shuja, being totally in the power of Ranjit Singh, ruler of Lahore, could do nothing about the situation, and empty handed he continued his journey to Ludhiana, where the two brothers settled down with their families, with each receiving Rupees 10,000 per month as political pension from the East India Company. The Koh-i-Noor diamond thus passed into the ownership of Ranjit Singh and his descendants through what could only be called a robbery, the first illegitimate transfer of the Koh-i-Noor diamond in its history. In the end it was presented to the British voluntarily by Duleep Singh as part of the Lahore Treaty. When the large stone was displayed at the Crystal Palace Exposition, people were disappointed that the diamond did not show more fire. So, Victoria decided to have it re-cut, which reduced the 186-carat diamond to its present size of 105.60 carats. In 1911 a new crown was made for the coronation of Queen Mary with the KOH-I-NOOR as the center stone. In 1937, it was transferred to the crown of Queen Elizabeth (now Queen Mother) for her coronation. It is now on display with the British Crown Jewels in the Tower of London.